Reasonable Locksmithing provides several Peekskill LOCKS & LOCKSMITHS services including car ignition repairs, installations, and replacements. The ignition system of your vehicle is essentially the most important component of your car. That is, the ignition system of your car is actually responsible for starting your car and keeping it running. If your ignition system is defective or non-responsive it can be due to several different reasons. For instance, you may have a problem with your car’s battery or spark plug. Or, your vehicle may have a problem with its ignition switch or cooling system due to negligence or elemental factors. Regardless of your ignition problem our 24/7 emergency access service and lighting quick response time ensures a reliable and efficient service every time. Reasonable Locksmithing can replace your ignition switch quickly with a high quality ignition switch in minutes if your ignition switch won’t start. We can also simply repair your existing ignition system by replacing its wafers so that you can actually turn on the ignition switch. Moreover, Reasonable Locksmithing also provides maintenance services to keep your ignition system in pristine condition. Furthermore, Reasonable Locksmithing can also extract lodged keys in your ignition system or provide duplicate ignition system keys in case you lose or misplace the original or if your keys are stolen. In addition, we can repair broken ignition locks in as little as 10 minutes or allow open entry into your car if you accidently left your keys inside your vehicle. Furthermore, Reasonable Locksmithing provides ECU, key fob, transponder key and VAT key programming Peekskill LOCKS & LOCKSMITHS services. Thus, Reasonable Locksmithing provides several different and equally important car ignition services for our Peekskill LOCKS & LOCKSMITHS customers. We provide a free consultation, a thorough estimate, and very competitive prices with all of our car ignition services. 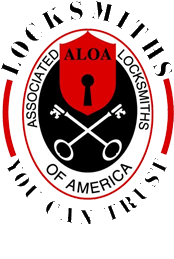 Moreover, our certified and dedicated locksmiths guarantee efficiency, durability, speed, tact, and uncontested value with all of the Peekskill LOCKS & LOCKSMITHS services they provide.